According to Accenture, one of the nations leading consulting firms, baby boomer parents will soon be distributing about $30 trillion to their millennial heirs within the next 30-40 years. While it might appear that the topic would start some intense and emotionally-charged inter-generational conversations, just the opposite is true. Individuals often avoid discussing the uneasy topic of death at just about all costs. Parents are immune to revealing their financial affairs to their kids as well as other heirs. Parents do not need their kids to understand what they may obtain on the opportunity it might cause tension amongst siblings. They may be concerned for their children’s ability to manage cash and are reluctant to create expectations. The same basic elements make up most estate planning processes: a will, one or more trusts, the assignment of an executor for the estate, and a living will or medical power of attorney. Below are a few ideas for putting the bits together for your inheritors. 1. ENSURE THAT YOUR NEEDS ARE BEING FULFILLED FIRST. The flight attendant explains the proper emergency protocols when commercial airliners take-off. In the event the cabin loses pressure and the oxygen masks pop from the ceiling, we’re instructed to fix our own mask and begin to breathe normally BEFORE we assist somebody else in using their mask. This is advised because you cannot fully help somebody else until you have fulfilled your own requirements for safety first. This simple guidance applies to wills and estates in the same manner. Your personal healthcare and long term living expenses should be taken care of first, and even then, you have to be careful before committing exact dollar amounts or specific assets to inheritors. It’s very possible that healthcare costs or your own longevity could surpass that which you have budgeted. Parents might be enticed to neglect their own particular needs in favor of their children’s. For example, its quite common for parents to take care of their children’s’ college expenses, just to become dependent on their kids in old age when challenges come about. They never took good care of the own needs and wants first. You will also need to avoid making promises that can’t be guaranteed. Don’t forget that the assets will remain your assets for as long as you need them. One day you may find that circumstances, illness or longevity may lead you to consider selling a life insurance policy (death benefits can be sold in some circumstances**) or obtaining a reverse mortgage*** on the family home for additional income. Despite the hesitation of parents and kids to talk about the unavoidable topic of death, such communication is crucial in creating the best possible outcome in what is already a difficult situation. 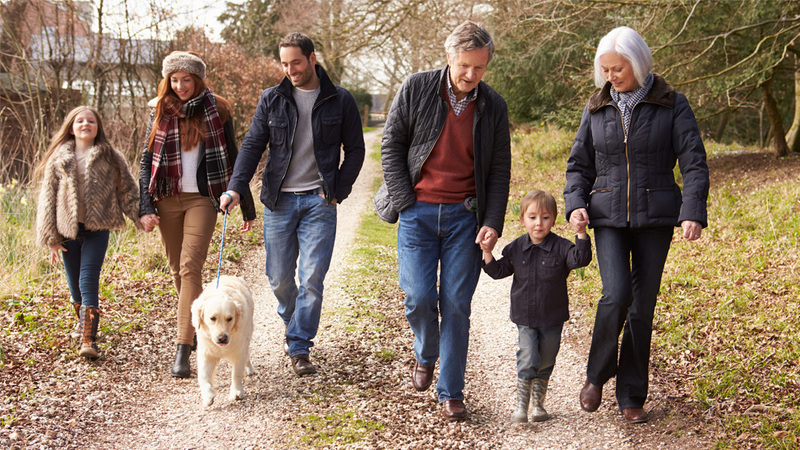 Mark Accettura, a Detroit area elder law lawyer, notes that while “estate planning isn’t a democratic procedure,” parents should allow their heirs to possess knowledge of their financial situation. Atlanta Financial Psychologist Mary Gresham is an advocate of having a family meeting around the topic. These meetings are an excellent forum for giving directions on who to contact in the event you perish and where important files and documents are held. That is also an ideal time to talk about any concerns and objectives or your heirs may have about assets that may be distributed. However, it is very important to prevent setting up unrealistic expectations. While you need to definitely discuss money issues with kids, it’s a good idea not to lead them to suppose all assets will be “theirs” some day. There’s a particular level of awkwardness created in these discussions, especially ones that take place after you have gone, but that’s nothing compared to the possible explosiveness of unpleasant surprises. Take the time to spell out the logic of your choices with your kids and allow room for questions and comments. Mark Accettura suggests, “If you want to minimize fighting, leave it as equal as you possibly can.” Not only does this affect delegating responsibility for settling your estate, but also to your assets. He proposes that anyone who is capable needs to be assigned at least the smallest role to feel included in the process. Stanley’s study has led him to reason that, through time, such presents truly make the receiver less in a position to give to themselves. Such discrimination does little to nurture strong relationships between siblings and can further cause bitterness. Relationships can be stressed by the unequal distribution of your estate. It is quite common for kids who receive the most assistance while their parents are alive generally receive a larger share of the estate as well. The kids that were successful are basically given negative reinforcing stimulus for reaching success by their own means. It’s obviously wise to take into account the dynamics of your household no matter what your problems are. You may want to discuss problems in a household meeting or in private with each adult child. 4. STRIVE TO BE A PROSPEROUS ROLE MODEL AND LEAVE A LEGACY OF FINANCIAL SELF-CONFIDENCE. Give kids a job in preparation for school, family vacations, or other expense procedures. Share everything you learn, as-you-go, about purchasing properties, producing cash flow, managing your savings and investments, or expanding a business. Consider using one or more whole life policies as a “family bank”. Members of the family may use this kind of instrument themselves to pay for graduate school, to buy automobiles, or begin a business, and can help in establishing the standards for family loans. Should you practice communicating together with your children about money, you are going to instill a practical, open, as well as positive approach toward finances. The greatest financial heritage you are able to depart from your kids would be to give them the tools to create their own long lasting wealth. 5. LAST BUT NOT LEAST, DON’T DELAY! Too many people believe they have “all the time in the world,” when the reverse might be true. Others believe they won’t need to to do “estate-planning” because their asset base is too small. And others simply procrastinate, even when they know they “should” address their legacy now. Do you have your financial affairs in order? Do you need help putting all the pieces of this complex puzzle together? Have you already prepared your will and estate plan but want to get another opinion? Get in touch with your Truvium Financial Group advisor to talk about the concepts in this article, or contact us should you be in the need of a trusted adviser to help you in developing a strategy for sustainable and generational wealth growth. *Policy benefits are reduced by any outstanding loans and loan interest. Dividends, if any, are affected by policy loans and loan interest. If the policy lapses, or is surrendered, any loans considered gain in the policy may be subject to ordinary income taxes. If the policy is a Modified Endowment Contract (MEC), loans are treated like withdrawals, but as gain first, subject to ordinary income taxes. If the policy owner is under 59 ½, any taxable distribution from the policy may also be subject to a 10% federal tax penalty. **Guardian does not issuer nor service Viaticals. ***Reverse mortgages may not be used for the purchase of securities or insurance products. Neither Guardian nor its subsidiaries issue nor service reverse mortgages.